The Vibe and Vibe Extreme Lite are full-featured, lightweight, and affordable travel trailers. If you're looking for value, style, and practical floor plans, the Vibe or Vibe Extreme Lite is for you! 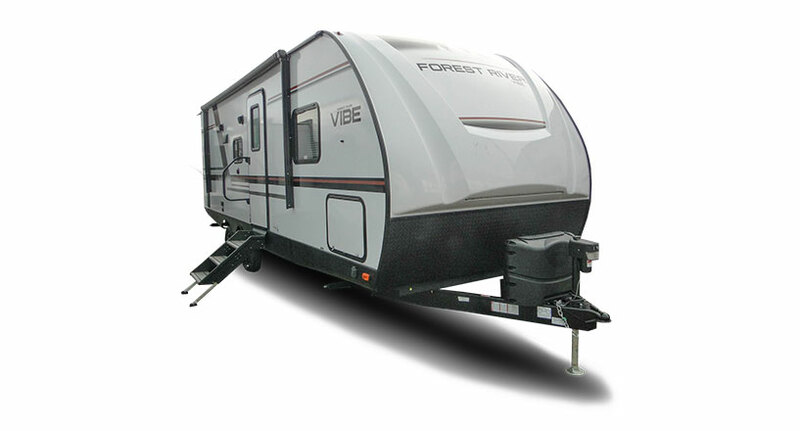 Forest River’s Vibe is a travel trailer that offers affordability and a fully featured, lightweight design. The Vibe delivers a variety of practical floor plans designed for couples and families alike. Inside you'll find convenient storage, stylish decor, and modern touches that everyone will enjoy. The Vibe Extreme Lite is a lightweight travel trailer from Forest River that delivers on quality and comfort. 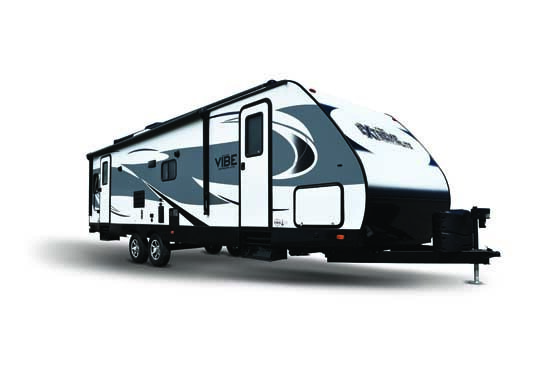 The Vibe Extreme Lite offers floor plans starting at 4,400 lbs. and maxes out at 6,100 lbs., making it very easy to tow. The Extreme Lite is packed with high-end finishes like stainless steel appliances, LED lighting, and flat screen TVs. 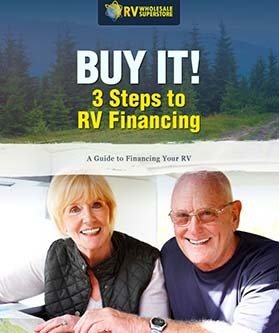 It's perfect for RV enthusiasts who love to travel! 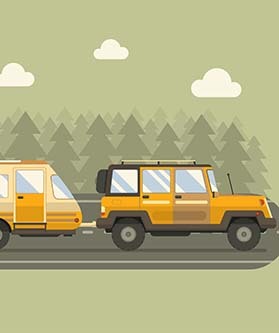 Which Lightweight RV is Best for Your Lifestyle? 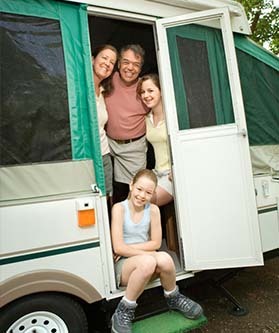 Find great tips on how to choose the best lightweight RV for you. Shop our online selection of Vibe RVs at your convenience or visit our dealership to see your favorite models in person.